Welcome Bonus: 100% match bonus up to $200 for the first deposit. Additional offers for the second and third deposits up to a maximum of $/€600. Having been established in 2012, Power Slots can be described as a fairly experienced platform in the casino gaming world. It operates as an online casino, offering everything from slots to scratch cards, live games, sports betting, and table games among many others. According to its website, its goal is to provide gamers with an entertainment platform that is fair, fun, and secure for all. 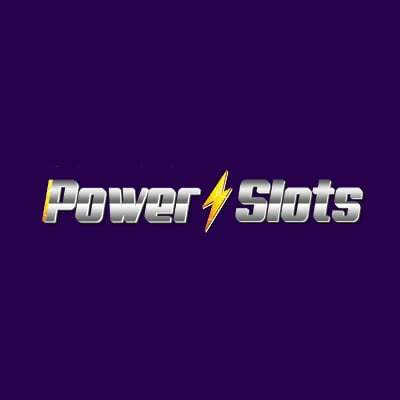 Power Slots is owned and operated by ProgressPlay, a limited company based in Republic of Malta. It was officially licensed to operate in Malta in April 2013, and thereafter also got a nod to serve UK players by the highly respected Gambling Commission of the UK. When we visited the platfotm, one of our hardest decision was to pick a game to play – and for a good reason. Its lobby features hundreds of both classics and new online games that are sure to simulate intense thrill and give you an adrenaline rush. It also boasts a gorgeous interface and the kind of glamour you can expect to find in a modern casino. Above all, what impressed us the most was its huge welcome bonus package – it reminded us of the good old days when casinos truly understood how to reward players. Without delving much into details here, shall we head straight to describing what Power Slots has in store for you? Let’s go. A sure way to kick off a memorable casino adventure would be to visit a platform that offers great bonuses and promotions. On this front, Power Slots is truly generous where it begins by rewarding you with a hefty welcome package on your first three deposits on the site. To break it down for you, a 100% match bonus on your first deposit gives you a chance to win up to $/€200. 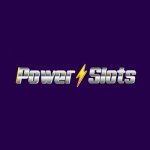 As if that’s not enough, Power Slots offers you a 50% match bonus for your second deposit with the maximum amount up for grabs here being capped at $/€300. Finally, on your third deposit, the casino offers a 100% match up bonus of up to $/€300. That’s a whooping $/€800 worth of claimable bonuses for you. One thing we like about this casino concerning its welcome bonus are its fairly favorable terms particularly concerning the validity period of the bonus. You have up to 30 days to play with it and win real money while at it. On the flipside, you’ll need to wager the bonus amount 50 times before you can cash it out. Other bonuses offered by Power Slots Casino include a cashback bonus, loyalty bonus, and occasional free spins. The cashback bonus is meant for roulette players that are on a losing streak. Get up to 15% cashback of the money wagered and lost during the week. As for the free spins, Power Slots Casino issues them out whenever it’s launching or promoting a new online slot game. Usually, these offers come with very friendly terms as the wagering requirements kick in on the winnings only. Moreover, if you have any existing unutilized spins, they are credited to your balance thereby allowing you to spin even more. Finally, the casino has a Loyalty program where players can collect points depending on much they play. Earn a point for every $/€16 spent here to help you move from the lowest VIP level known as Bronze to the highest known as Diamond. Enjoy more benefits as you rise through the ranks with some of the most popular being extra bonuses, VIP support, birthday and anniversary presents/bonuses, etc. Other promotions to check out include the Weekly Surprise and the seasonal bonuses. Weekly surprise is a form of loyalty bonus whereby active players are rewarded with incentives such as free spins and cashback rewards on a weekly basis. On the other hand, seasonal bonuses are tailored for various events in the course of the year with goodies like festive promos, weekend incentives, holiday packages, etc. For example, as of the time of writing this review, there’s an ongoing promotion by the name ‘Twice Wicked’ that runs from Monday to Thursday. Active players receive a special bonus package whose value is unique to each one of them. The invitation to claim it is made via your registered email. In addition to offering nice gaming perks and games, any online casino worth its salt needs to have a reliable payment structure. Like many modern casinos, Power Slots supports multiple payment methods to cater for players in various geographies and different preferences. Other region-specific methods which Power Slots supports include Zimpler, Qiwi, Euteller, Discover, Trustly, and EcoPayz. Each of these methods come with its own share of advantages and shortcomings. Nevertheless, Power Slots is particularly keen to walks you through the specifics of each method you choose. By specifics, we mean that they elaborate how long each method takes, any extra fee you’ll be charged for using your preferred method, who can use what method, the deposit/withdraw limits etc. One feature we found to be very useful here was the ability to place a deposit limit for your account. This way, Power Slots directly encourages responsible gambling by facilitating a decision to limit how much you can spend on gambling. In case you hit your set daily, weekly, or monthly limit, Power Slots prevents you from any further wagering until that period elapses. However, if you must overspend, you can make a request to adjust your gambling budget but this takes 7 days to be processed. The goal is to ensure that players never lose track of their expenditure which is quite thoughtful of a casino if you ask us. If there’s anything Power Slots is excellent at, it is the range of games which it brings forth. The platform has everything you could be looking for including slots, sports betting, scratch cards, and jackpot games among others. You’ll also be impressed to know that all these titles are designed by well-known developers including 1x3Gaming, MicroGaming, NetEnt, NextGen Gaming, and Igaming2Go. Currently, there are about 600 games here spanning from popular ones like the Game of Thrones, Gorilla Go Wild, and Club Roulette, to upcoming ones like Snowflakes and Fairytale legends. All the games are provided on the website and can be accessed using different gaming platforms including mobile phones. You also don’t have to download any software as the games are instant play. We found this quite commendable especially now that most downloadable games are notorious for being too heavy on devices and also feature excessive advertising. Did you also know that you can play live casino games with a real dealer on Power Slots? Well, besides offering movie themed slots and action packed games, Power Slots also boasts a live casino. This resourceful addition allows you to experience the true adrenaline rush and thrill you find in land-based casinos. For multi-player games, you can also interact with your opponents via the virtual console and live session chat. If you want to try a bigger windfall, consider trying your chances on their Jackpot games. Just to mention a few with great odds, check out Cashalot, Divine Fortune, Dophin Gold, and Fruit Fiesta. Since the evolution of mobile phones to access the internet, most entities have built services that target these devices. Power Slots is also on board with its mobile supported gaming platform. Almost all the games we’ve mentioned above are accessible on smartphones and tablets running on popular OS including Android and iOS. Providing personal data and other sensitive details to an online entity like a casino can be worrying especially when you’re unsure about their security measures and licensing status. As stated earlier, Power Slots is 100% legit to operate as an online casino. It uses a license issued in April 2013 by Malta Gaming Authority and is also continuously supervised by The UK Gambling Commission. The two bodies regulate, audit, and authorize operation of both land and online based betting platforms in the UK jurisdiction where the casino resides. On security, all its pages and gaming portals feature a Secure Socket Layer protocol which encrypts data and locks out spying apps from meaningful data gathering. We can also bet on the security of games stocked here since all the developers we find featured on the platform are reputable names in the gaming world with proven track records. The platform’s privacy protection policy is also well elaborated without those grey areas that you find in phony gaming platforms. It is consistent with the EU privacy protection clauses that were revised in 2016. Power Slots customer care team is accessible from 8am to 12am (GMT) through several official communication channels. You can reach its reps via live chat, contact form, or browse the Frequently Asked Questions for self-help. The Frequently Asked Questions section is also broadly covered and has practically all the information you need like answers to commonly asked sign up questions, play eligibility, payment enquiries, limits, and even technical questions. Is Power Slots a casino we’d recommend to our readers? Absolutely. For starters, we’d be hard-pressed not to acknowledge the remarkable features it’s invested in to enhance gaming experiences for serious players. What’s more, it provides a wide array of games from top developers from around the world and even goes a step further to ensure you don’t worry about typical online security threats. Importantly, its offers generous bonuses and promotions that come with largely fair conditions. Overall, we find it to be a great entertainment hub for anyone interested in slots, live casino gaming, and sports betting. But then again, there are areas it can do better. First, accessing the Power Slots website using small-screen devices may not offer the best experience. This is because some of the platform’s elements don’t adjust accordingly thereby making it difficult to read and play some games. As such, we advise you to try it from a larger screen, preferably a tablet or computer. Also, it would be best if this company developed a downloadable app for smartphones as apps typically use resources more optimally than on browsers. To this end, we can comfortably recommend Power Slots Casino to any player irrespective of their experience and skill level. Be sure to check out their massive welcome package that comprises $/€800 worth of bonuses to enable you win bigger and play longer.